A full protective ROBO vest that protects your midsection, chest, sides, and back. The vest is concealable; you can hide it easily under any type of gear and present yourself with style without the bulky oversight of an exterior vest. This concealable vest with Velcro tabs can be easily adjusted. 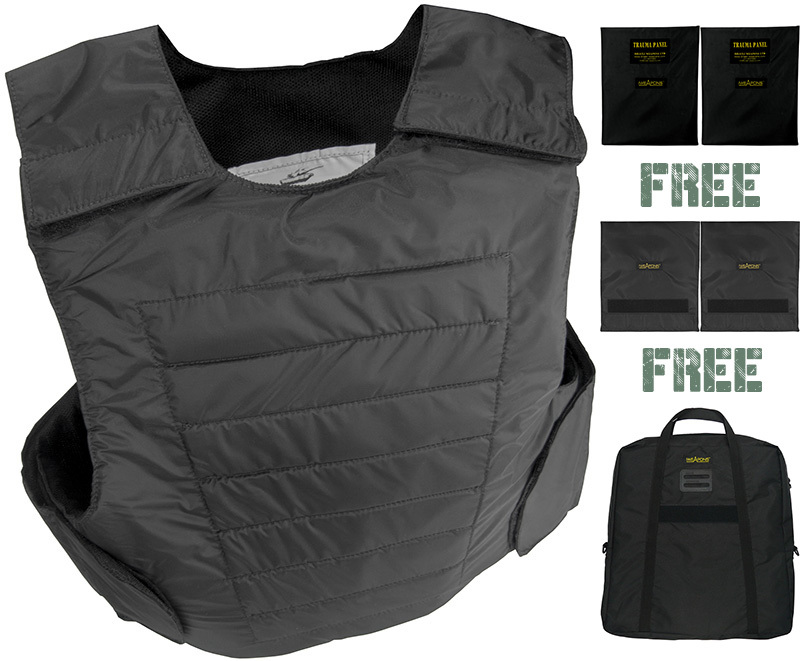 The vest has IIIA protection for superior protection in the field. Comfortable Velcro tabs allow you to adjust the vest for optimum security, and the soft outer core lets shirts and clothing hang freely without the bulky outline of a bulletproof vest. The ROBO bulletproof vest for concealable protection allows you to work in style and comfort. The NIJ-rated body armor provides protection from several types of rounds including those from a caliber ranging from a .22 to a .44 Mag. I think it is good choice for concealable bulletproof vest. The shape looks really nice, is it come with anti-stab protection? I think i would buy this bulletproof vest, i am sure it look great on me. Best looking bulletproof vest i ever seen, can I get 4XL size? How much 4XL and 5XL ? Just the concealable vest i was looking for, one of my friends recommended some thing similar to me. I’m telling you man! I bought this vest from Israeli supplier and it just amazing. Will it fit a women with small size shirt?